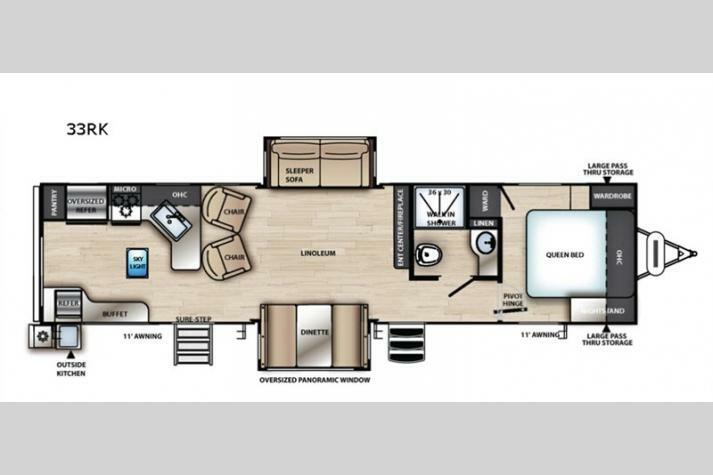 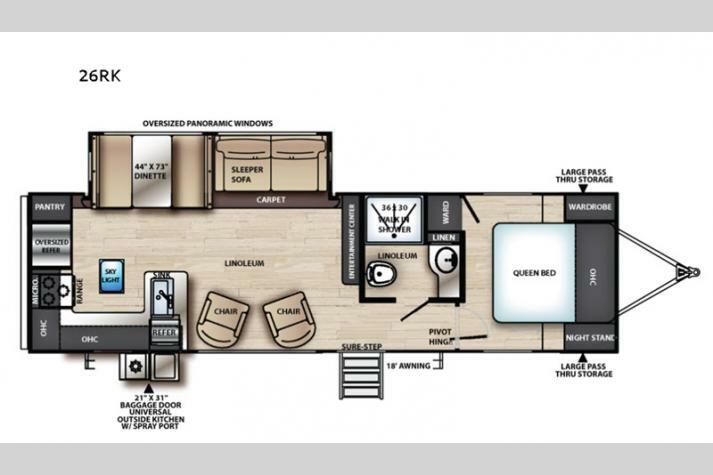 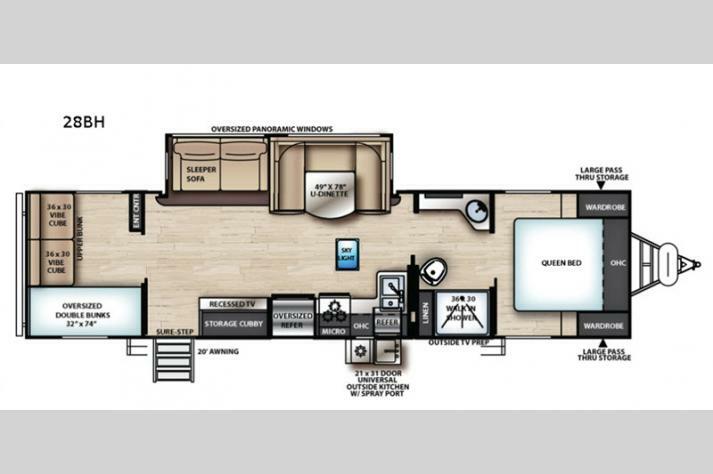 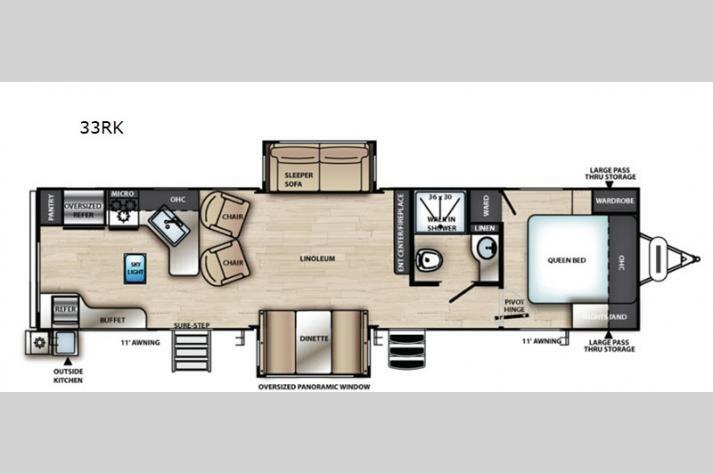 The Forest River Vibe travel trailer features an awesome kitchen with several slides, depending on floorplan, making it an outstanding travel trailer for anyone, regardless of their RVing experience. 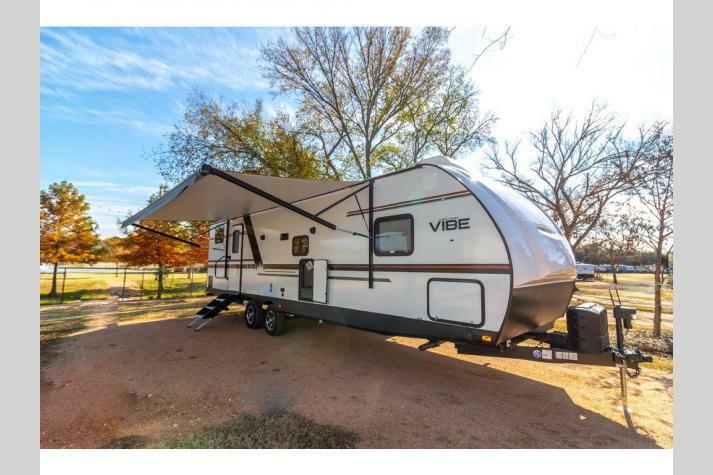 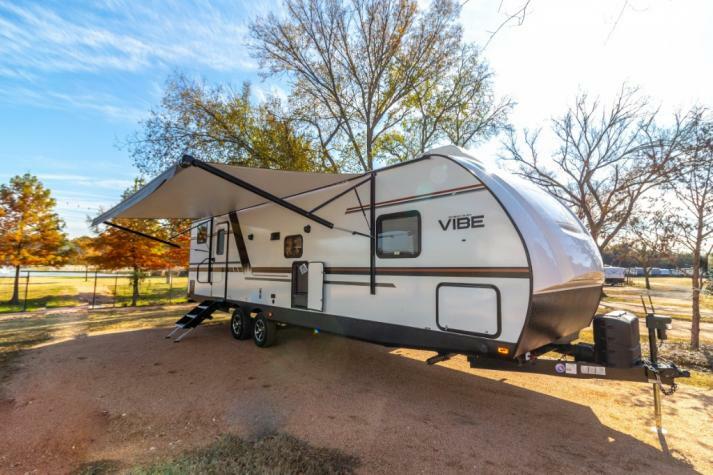 With wardrobes on either side of the bed, overhead cabinets, and pass-thru storage areas, the Vibe travel trailer comes with excellent optional options as well. 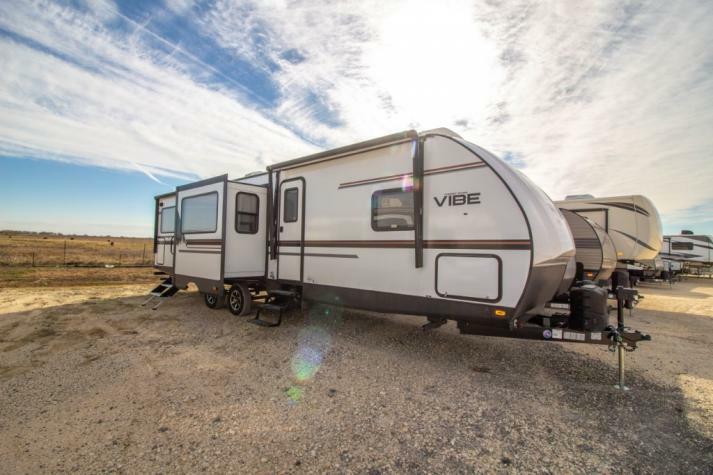 Find out more about the Vibes by looking through our inventory below. 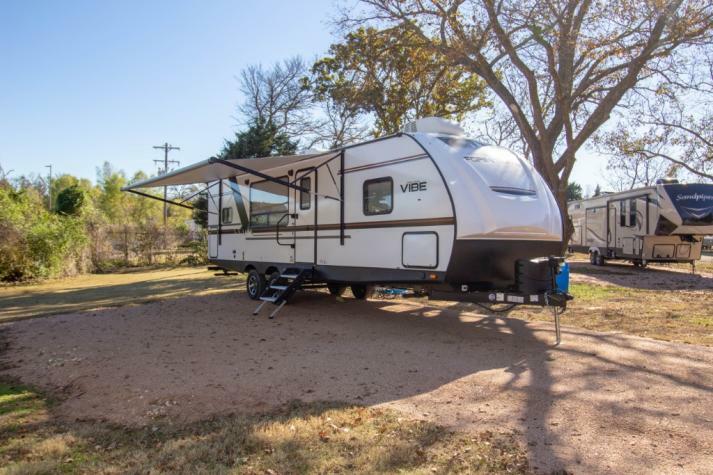 If you are interested in learning more about our fantastic RVs for sale in Texas, you can contact us today for more information. 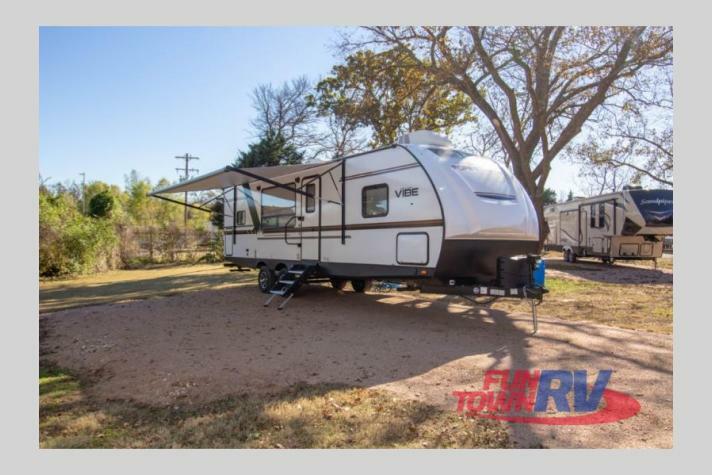 Or, you can check out our RV Finder to see all of our RVs of all types, including travel trailers, fifth wheels, toy haulers, and more. 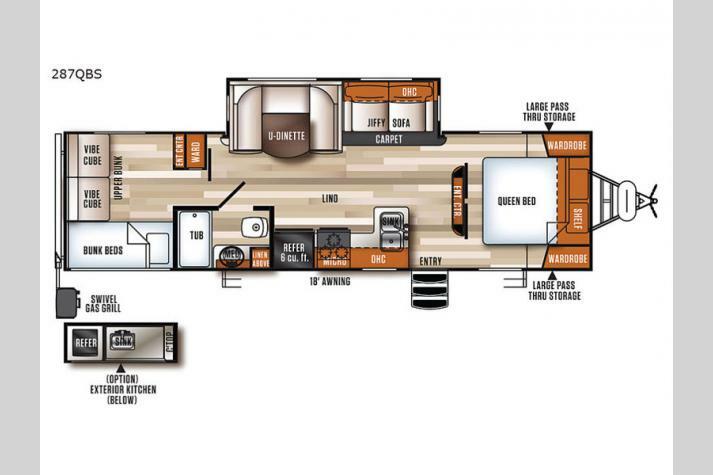 Get directions to come by our dealership to see our RVs up close and personal. 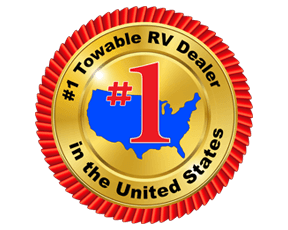 We offer RV parts and service, making us your one-stop shop for everything RV. 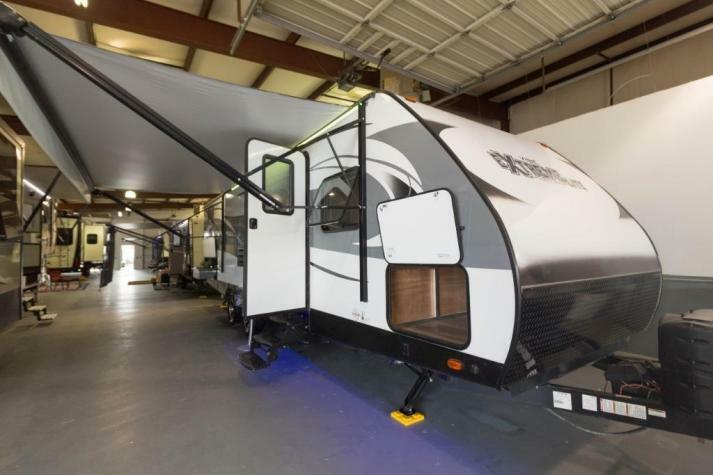 We can't wait to hear from you!